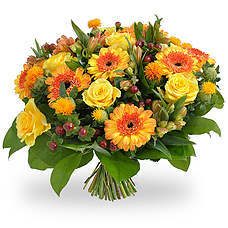 Happy bouquet with orange and yellow colors. 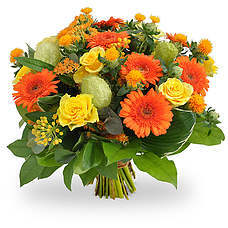 Happy bouquet with orange and yellow colors! 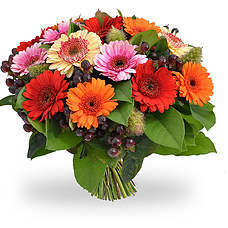 Bright multicoloured bouquet with gerberas and green material. Quite the trend again! 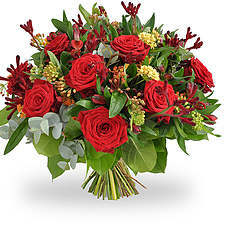 Exclusive bouquet. 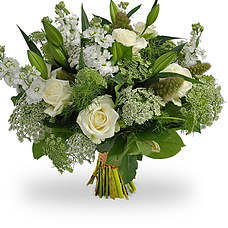 Stylish white bouquet with luxury flowers and beautiful decorative green materials. A real must! 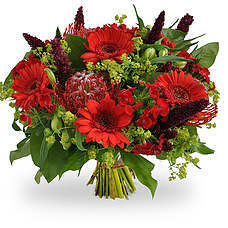 Bouquet composed of warm red flowers. 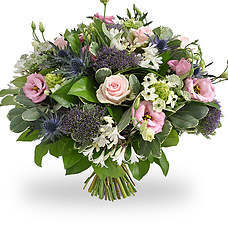 The largest en most splendid bouquet in our collection. 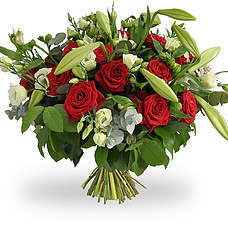 Long stemmed red roses combined with luxury white flowers. If you wish to have the very best this is the right choice!